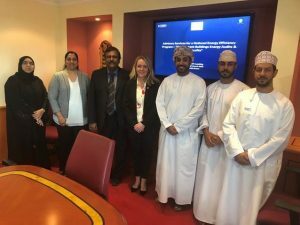 DEM kicks off project to provide advisory on developing the ESCO market in Oman! DEM will advise the Authority for Electricity Regulation (AER) in Oman on a National Energy Efficiency Program focussed on improving energy efficiency in public buildings. DEM will provide recommendations on a working model for ESCOs in Oman, advise on a national program design and roll-out for retrofitting of select public buildings and provide procurement support to AER for selecting ESCO implementers for undertaking the energy retrofits. DEM will provide independent and objective evidence to the Ministry for Foreign Affairs of Finland on the achieved results of the second phase of EEP Mekong and the sustainability of the results that can support the MFA in planning of potential energy sector support to the region for the future. The evaluation will also assess the implementation and management of EEP Mekong and analyse the reasons explaining the successes and failures of the projects supported under the programme. In addition, the evaluation shall examine the relevance of financed projects in the partner countries, and also provide lessons learned on results-based financing and its applicability for the EEP Mekong. Our Sustainability Report for 2018 has just been released! It is uploaded to the UN Global Compact website – the world’s largest corporate sustainability initiative. 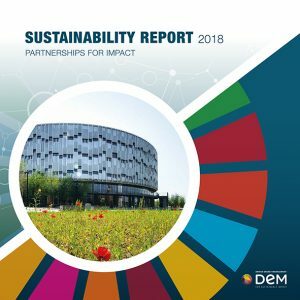 This year’s report is focused on Partnerships for Impact, highlighting a number of internal initiatives, and external partnerships and projects, that all contribute to DEMs ability to approach sustainability in a holistic way. With the prospect of creating long-term results and building on the existing momentum from the first phase of the Danish Energy Agency’s (DEA) Energy Partnership Programme (DEPP), Denmark has allocated DKK 115 million from the Climate Envelope to continue the cooperation with the Mexico, Vietnam, China and South Africa under DEPP phase II to assist them with their transition to a low carbon economy and to provide support for the implementation of the Paris Agreement through energy and climate actions. DEM will be supporting the Ministry of Foreign Affairs – Denmark in assessing the DEPP II in a way that enables possible course correction in the current phase and will make recommendations that will serve as an input to the formulation of a possible next phase of the programme. The direct importance of energy efficiency (EE) cannot be overstated. Policies to this effect have globally been accepted and efficiency is considered as one of the most economical ways towards the reduction or slowing down of the increasing energy demand as well as its cost and environmental effects. In most developing countries where economic development is happening on aging energy infrastructure, energy efficiency is one of the most cost-effective options to meet the rapid growth in demand for electricity and to address other energy sector challenges. For this reason, Energy Efficiency is sometimes referred to as the “first fuel” of economic development. In many countries where energy efficiency potential has been assessed, the cost of a unit saving of electricity through the implementation of EE measures is much lower than the cost of new supplies. Several Sub-Saharan African countries acknowledge the importance of Energy Efficiency and have taken some measures to improve the enabling environment. Various technical assistance has also been provided both at the country-level and at the regional level to promote Energy Efficiency, but this has not led to significant investments. Danish Energy Management (DEM) has been contracted by the World Bank to assist in identifying bankable demand side electricity efficiency investment opportunities of a moderate size of USD 5-10 Million which can be financed in the near term by either the World bank or other financiers, with the view of stimulating further investments in the sector through replication/scaling of the identified opportunities. DEM consultants will engage in close dialogue with national stakeholders in Ghana, Zambia and Botswana in the process of identifying these investment opportunities. Based on the consultations and desk review, DEM will prepare detailed country notes for these countries, presenting an overview of the current status of the energy sector, identifying investment opportunities and also discussing the supporting environment (policy, regulatory, legislative and fiscal framework) for promoting Energy Efficiency. In order to act globally, we need to engage locally! We are therefore delighted to announce our presentation at the UN Global Compact Nordic Meeting in Copenhagen on October 30th. With regard to the UN Sustainable Development Goals, Danish Management has been engaged since 2015. Therefore, the UN Global Compact Meeting on October 30th will be a great opportunity to present two complementary approaches to working with the SDG’s as a company. First, Kirsten Mariager will present “How to Measure Impact”. This presentation will focus on the strategic approach, using Danish Managements work with the SDGs as an example: How do we report and how do we communicate our impact through our SDG monitoring-system. We need to make our contribution tangible for employees and stakeholders in order to succeed. The second presentation by Heather Louise Madsen focuses on “Using the SDGs as a Platform to Achieve Strategic Impact Through Partnerships.” Danish Management has collaborated with Harvard University’s Office for Sustainability. This presentation demonstrates how we have linked their current sustainability strategy – the Harvard University Sustainability Plan – to the SDG’s. Student involvement has also played a big role in this collaboration: Both in developing SDG cases and through the communication of sustainable impact. 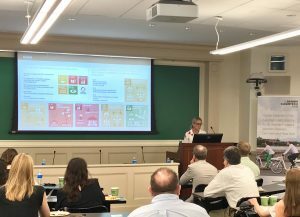 Danish Management recently held a workshop in New York titled: “The Sustainable Development Goals (SDG’s) – A New Business Opportunity for the Green Built Environment” at the Building Energy NYC2018 conference. Like SDG 17 states, global partnerships are essential if we want to succeed in achieving sustainable development. Workshops and network meetings focused on the SDGs provide great opportunities to exchange knowledge, create new partnerships, and find inspiration. “We acknowledge our responsibility to share knowhow across national boundaries, combining expertise and developing solutions that meet local and national contexts. Goal 17 is central to our strategy because partnerships across boarders play a big role in knowledge sharing and innovative solutions,” explains Kirsten Mariager. We hope to see you at the UN Global Compact Nordic Meeting! 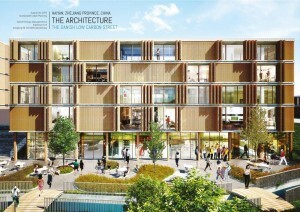 Image: Harvard Office for Sustainability. Pictured from left to right: Kris Locke, Harvard University; Kirsten Mariager, DEM; Heather Louise Madsen, DEM; Angela Shields, Harvard University; David Havelick, Harvard University. We are excited to announce that Angela Shields from the T.H. Chan School of Public Health will be presenting along with DEM at the AASHE conference in Pittsburgh, PA during our session titled: Demonstrating Impact Through SDG Cases – Creating Common Language and Shared Purpose Across Campus. 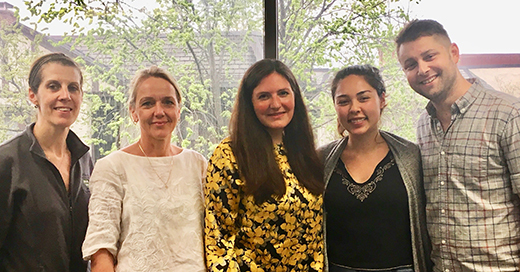 Through our collaboration with the Harvard Office for Sustainability, Angela developed a case showing opportunities to link upcoming University Food Standards to the Sustainable Development Goals (SDGs). During our session, DEM will present our approach to working with the SDGs, and Angela will share her experiences with applying this approach, and the future opportunities that it presents for student involvement. If you would like to attend our session, please ask for more details! Which opportunities for the Green Built Environment can the SDGs provide? This is what we are focusing on in our workshop: “The Sustainable Development Goals (SDG’s) – A New Business Opportunity for the Green Built Environment” at the Building Energy NYC2018 conference. It’s on everyone’s lips. The 17 UN Sustainable Development Goals and climate change. Up to this point, 2018 has already presented extreme weather conditions; From temperatures dropping way below average, to massive heatwaves and destructive hurricanes. The only good thing about this abnormal phenomena is that it has increased our focus on climate change. But talk is not enough. We need to act now. The building industry has a massive effect on our climate and therefor also bears a great responsibility in ensuring that we reach the targets that have been set by the United Nations. For companies who take this challenge seriously, the SDG’s can create new opportunities – for business strategies and actions. Since 2015, the SDG’s have been at the heart of DEM’s strategic work with energy and sustainability. DEM has actively incorporated four of the 17 SDG’s into our company DNA. DEM is a sponsor at the Northeast Sustainable Energy Association (NESEA)’s annual Building Energy Conference in New York – BENYC2018. On the 3th of October we are hosting a workshop where we explain how different participants in the green built environment can translate the SDG’s into new business opportunities, and ‘what’s in it’ for those that do. During our workshop we will answer questions like: Which opportunities lie in engaging with the SDG’s, and what are the risks of not engaging? What are stakeholders around the world focusing on? And how do you implement the SDG’s in your building projects? Our experts, Kirsten Mariager and Heather Louise Madsen will be joined by New York’s leading experts within their field Yetsuh Franck, Bill O’Brien , Dylan Martello and Jack Dinning. 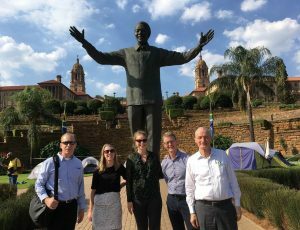 DEM, in partnership with Envidatech (Germany), has been shortlisted and invited to submit a proposal for the implementation of the sub-component “Energy Management in Municipalities” of the GIZ funded SAGEN-3 programme in South Africa. The assignment will focus on setting up a municipal energy management system for various municipalities in South Africa. The energy management system will be versatile and cater to different categories of municipalities, which will be categorised as being one of Innovator, Aspirant or Beginner, depending on their respective level of development and capacity on the topic. It is generally believed that several metros where energy management practices already exist may belong to the Innovators category, while other smaller municipalities may belong to either the Aspirant or Beginner category. South Africa continues to experience rapid urbanisation, with approximately 64% of the country’s population living in urban areas (of which 40% are located in the metropolitan municipalities). Urban populations are forecast to reach 70% of the national total by 2030 and 80% by 2050. Sustainable energy development of cities is a key factor if such urbanisation is to generate significant opportunities for growth, poverty reduction, environmental sustainability and climate mitigation, especially in a country where more than 90% of electricity is produced from coal. 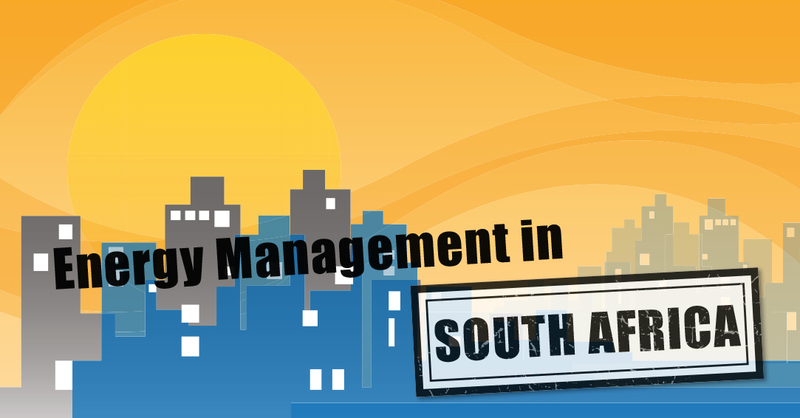 South African municipalities are increasingly aware of the various challenges in the energy sector and have started to address them in different ways and with varying intensity, and the process of setting up an energy management system being one of them. Last week our Market Maker for Sustainability & Energy Management, Kirsten Mariager presented at the event Higher Education – Higher Ambitions: Sustainable Practices, Healthy Environment and Better Learning at New York University. She highlighted the obvious opportunities why universities should engage with the Sustainable Development Goals (SDGs). The SDGs creates a common language and understanding of sustainability – both at faculty and campus level. Universities have an impact across each and every one of the SDGs, and this impact can be large – and many campuses have already done the ground work. By addressing impacts within each area of the SDGs through internal policies and operations, universities can make a significant contribution to achieving the SDGs within their spheres of operation. Responsible and sustainable universities will moreover have a competitive advantage and will be able to stand out and attract new partnerships, funding streams and students and faculty staff. Six years have now passed since we took the company Esbensen Consulting Engineers under our wing. 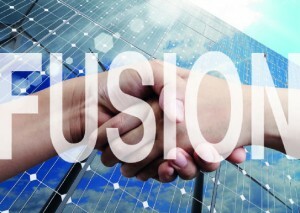 The union has been a great success in the market for sustainable energy design, focused on building design and energy renovation projects in Denmark and abroad. The company is now returning to the name Danish Energy Management A/S, or simply DEM. The name change is part of the company’s growth strategy and a natural extension of the organic development that DEM is currently undergoing. The name adjustment also reflects who we are as a company, and we still have the same goals that we have always had: promoting sustainability and energy globally. At this official ArchitectureWeek event, industry pioneers explore aspects of the next generation of higher education facilities, and debate how thoughtful design, innovative technology, and sustainability strategies will shape the universities of the future. Kirsten will be talking about Campus Sustainability Strategies & Integrating the SDG´s. A VIP delegation from Dongtai City in China (1.3 million inhabitants) will visit Sønderborg on the 25th of May 2018. The delegation is run by Ms. Chen Weihong, Mayor of the People’s Government of Dongtai City, Jiangsu Province. The delegation is to visit Danfoss in Nordborg and Project Zero in Sønderborg, and has furthermore asked to meet with DEM-ESB to learn more about “Energy Efficient Buildings and Sustainable Urban Design” and DEM-ESB’s experience in China. DEM-ESB has designed a newly built “Zero Carbon Building” and developed a “Zero Carbon Masterplan” for a city development area in Haiyan City in the Zhejiang Province. 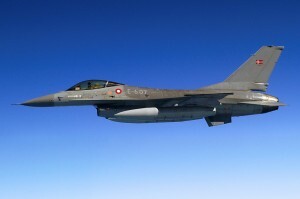 The next step in our task of implementing energy management for the Danish Defence is about prioritizing the efforts. For this we are developing a tool that visualizes the consequences of environmental and energy measures. The tool will have a simple interface, so also “non-technicians” can analyze different scenarios. Congratulations to one of our very experienced employees – Torben Esbensen, who has turned 70 years. Torben is educated civil engineer and has been in the industry for many years – where he has worked very focused to promote sustainable cities and solar energy, both nationally and internationally. 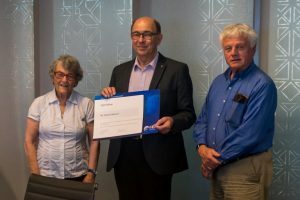 In the fall of 2017 Torben was appointed Fellow in the International Solar Energy Society ISES, as a recognition of his long-standing efforts to promote solar energy. Torben has previously been honored for his work on renewable energy and energy-efficient construction. In 1995 he received the European Solar Energy Prize in Vienna, in 2003 he became the first recipient of the OECD International Energy Agency’s Solar Energy Prize, and in 2013 he received the Passive House Pioneer Award in Frankfurt. 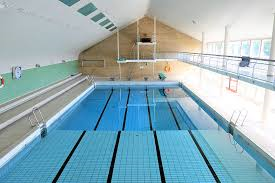 DEM-ESB has been selected as a full-service consultant for the renovation of the indoor swimming pool at the Sports Academy i Sønderborg. The swimming pool, with a 25 meter competition pool, dates from 1960 and all the technical facilities need renovation and replacement. DEM-ESB has engaged the Technological Institute – Swimming Pool Technology, as sub-consultant regarding the water treatment system. In addition to the swimming pool, the ventilation systems at the school must be renewed and a building-integrated solar system of 540 m² must be established. The Sports Academy, designed in 1952, is the largest sports academy in Denmark and the fourth largest folk high school in the country. It is classified as worthy of preservation, which is why the solar system must be integrated in a roof, which will not be visible from the road. Studenterhusfonden in Aarhus supplies over 90% of the food services at Aarhus University. They run canteens, cafes, various conferences and food delivery services, and they are clear frontrunners when it comes to sustainable food production. Their vision is to be the healthy and preferred non-profit food producer – both locally and with relation to the climate, as a contribution to raising awareness of health and sustainability. 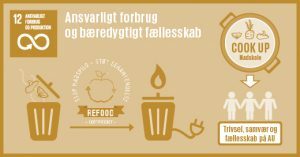 Danish Energy Management has provided the strategic foundation for all the exciting work that Studenterhusfonden is doing with relation to creating a sustainable food culture in and around the Aarhus University Campus. From the purchase of fresh produce, creating hands-on workflows in the kitchen, educating students about saving money and reducing waste through the food choices they make, to their approach to waste management. 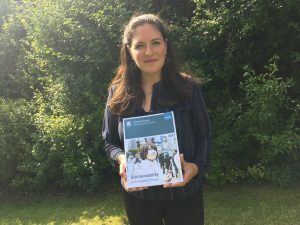 An analysis across the organization has provided the foundation for our delivery of the new Sustainable Community Strategy for Studenterhusfonden. This strategy uses the UN Sustainable Development Goals (SDGs) as a platform to communicate current and future initiatives and goals. For Studenterhusfonden, Danish Energy Management has delivered a comprehensive strategy describing their most relevant SDGs – no. 2, 4, 8, 12, 13, along with internal goals, motivations and actions. As part of an overall communications concept, we have also developed infographics that can be used in all their communication and marketing material, such as public tenders, private bids, cases and e-learning. As a next step, Danish Energy Management is designing a new website for StudenterhusFonden. This website will simply and elegantly visualize everything that Studenterhusfonden has to offer for customers and business partners. Mads Hammershøj is employed as Head of Sales at Danish Energy Management & Esbensen. Sustainable Building Design & Urban Development, Sustainable Client Consultancy and Sustainability Management – offering consultancy on the UN global Goals – shall provide the basis for increased growth in the domestic market. at the Aarhus office. However, he will also frequently be at the offices in both Sønderborg and Copenhagen. 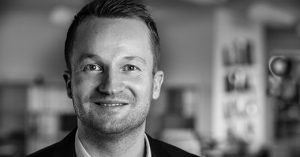 Mads comes from a position as head of department at Eniig Energi A/S. Fresh off the presses – our brand new Sustainability Report 2016-2017. Please take a look! We have just completed an energy walkthrough of the entire Defence Command. The activity is part of the Defence Command’s efforts to introduce energy management in line with ISO50001 by 2020. At Dansk Energy Management & Esbensen, we support clients in Denmark and abroad with energy management, where we have developed measurable energy management systems for both large and smaller companies. Learn more about our Energy Management consultancy. 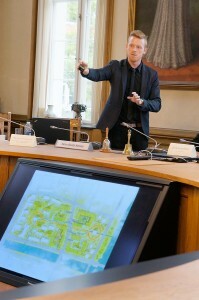 In connection to its appointment as the Youth Municipality in 2017, Sønderborg municipality decided to construct a new Youth Culture House for its young population. Spreading about 520 m2, the cultural house will be a space for social gathering and events for people between the ages of 15 to 25. The house is located in the city center, just opposite the existing Sønderborghus, which is the city’s cultural center for the slightly older generation. 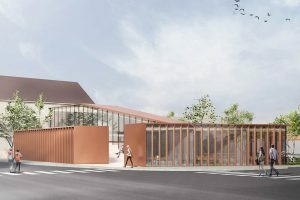 The project includes renovation of a former dairy building and an extension, and the new building will house an auditorium, bar, meeting rooms, lounge areas and an outdoor courtyard. The building was designed by Tegnestuen Mejeriet in Haderslev with Danish Energy Management & Esbensen A/S as engineering advisers on energy and technical installations. Dear Clients, Friends and Colleagues! As 2017 comes to a close, we would like to thank you for the confidence you place in Danish Management A/S and Danish Energy Management & Esbensen A/S and for the fruitful cooperation we enjoy together. We are grateful for the numerous rewarding friendships, both old and new, that continue into the New Year. 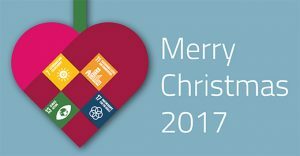 Employees from our main offices in Denmark (Copenhagen, Aarhus and Soenderborg), the UK, Bangladesh, Malaysia and Thailand and many other countries around the world hereby wish you and your family Seasons Greetings, Merry Christmas and a Happy and Prosperous New Year! 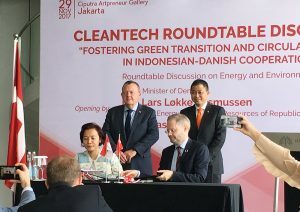 Recently Danish Energy Efficiency Partners – DEEP Sdn Bhd /Danish Management A/S were invited to a large “Cleantech Seminar” in Jakarta, which was opened by the Danish Prime Minister, Lars Løkke Rasmussen and the Indonesian Minister for Energy and Mineral Resources. Indonesia has set forth a very ambitious target of reducing the country’s greenhouse gas emissions by 29 percent by 2030 and already in 2025 improve energy efficiency with 17%. In relation to this, the country is consulting Danish experiences within both renewable energy and energy efficiency. Our International Vice President Morten Søndergaard gave the audience a presentation of the energy efficiency concept successfully implemented in Malaysia by DEEP. The Indonesian Director of the Energy Conservation, Indonesian Ministry of Energy showed very big interest in the model and results from Melaka and Malaysia and have invited DEEP to come back and look into the Indonesia market and see if DEEP can contribute active to reaching the Energy Efficiency goal of the country. 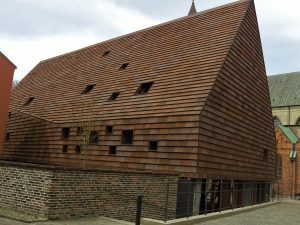 The new building in Ribe can win the Brick Award 2018! Kannikegården. The new house for Ribe parish’s parochial church council, built on the square in Ribe, just across the cathedral, has been nominated for the Brick Award 2018. The award is a tribute to innovative and outstanding architectural design as well as to the aesthetic and functional benefits that bricks, clay blocks and roof tiles can provide in contemporary architecture. The judging committee, among other things, has nominated projects on the basis of their fine use of bricks, which creates a harmonious connection between old and new materials that together enrich the urban landscape. DEM-ESB has been consulting engineers on the project, which has secured a seat among the 50 nominees for the Brick Awards 2018. The winner will be announced in May 2018 in Austria’s capital Vienna. At the recently held Solar World Congress in Abu Dhabi in the United Arab Emirates, Torben was appointed Fellow, as a recognition of his long-standing efforts to promote solar energy. It is only the third time in the Solar Energy Society’s 50-year history, that a Fellow is appointed. To establish a pool of experienced solar and renewable energy experts to ensure that their knowledge and expertise can benefit ISES in various ways. Torben has previously been honored for his work on renewable energy and energy-efficient construction. In 1995 he received the European Solar Energy Prize in Vienna, in 2003 he became the first recipient of the OECD International Energy Agency’s Solar Energy Prize, and in 2013 he received the Passive House Pioneer Award in Frankfurt. 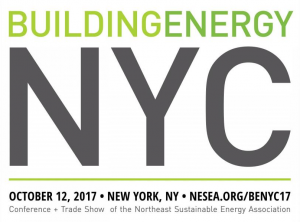 Our Market Maker Kirsten Mariager has been invited to present at the BuildingEnergy NYC Conference + Trade Show 2017. This is NYC’s premier event for professionals and practitioners working to build a more sustainable world. It brings more than 600 industry leaders and emerging professionals together to learn from and network with each other. This year’s event will be held at the TKP New York Conference Center. Kirsten Mariager will be speaking at the session “Building Products of the Future: Where Are We Heading?” on Thursday, October 12, 2017, 1:30 pm to 3:00 pm (EDT). DEM-ESB will develop an on-line database of energy initiatives in Africa. Investments in the energy sector are being prioritized as a precondition to sustainable development by many African governments, regional organizations as well as the international donor community. As a result, numerous initiatives have been started with the common goal of bolstering and supporting the continent in reaching a sustainable energy future. This increasing number of initiatives also leads to a greater need for coordination. As a minimum, information about who is doing what must be available to highlight opportunities, synergies and overlap within Africa’s energy sector. 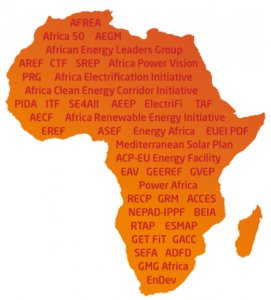 In 2016 a mapping of energy initiatives in Africa was undertaken in the context of the Africa-EU Energy Partnership (AEEP) and presented officially at the AEEP Stakeholder Forum in Milan in May 2016. The mapping is available here. Danish Energy Management & Esbensen will now update the information and complete the listing of multilateral initiatives with bilateral and country-specific initiatives. An online database will be established, such that the information be accessible to all interested parties by the end of 2017. Danish Energy Management & Esbensen (DEM-ESB) was very pleased to be commissioned by the Ministry for Foreign Affairs of Finland (MFA), in collaboration with the Department for International Development (DfID), the Austrian Development Agency (ADA) and the Nordic Development Fund (NDF), to undertake a market landscape study of the 15 countries in Southern and East Africa (S&EA) (Botswana, Burundi, Kenya, Lesotho, Namibia, Malawi, Mozambique, Rwanda, Seychelles, South Africa, Swaziland, Tanzania, Uganda, and Zambia and Zimbabwe) that have been identified for support under the next phase of the Energy and Environment Partnership programme (EEP). 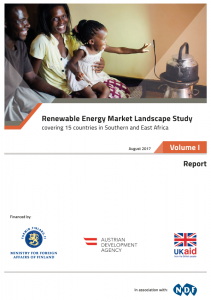 The purpose of this study is to develop a snapshot of the current status of energy access, opportunities in Southern and East Africa and to reposition the EEP-S&EA market niche and value proposition to meet the needs of the private sector. Our report highlights that the barriers to improving energy access have not changed over recent years but that context in Africa is developing rapidly. There are some very successful and innovative business models that have taken off, addressing a segment of the market that would ordinarily be using kerosene and candles. In broad terms, access to finance continues to be the most significant barrier to reaching the SE4All 2030 target of universal energy access. There is an acceptance across the board that decentralised renewable systems are necessary to address the needs of the bottom-of-the-pyramid but governments are focusing on grid extension and the business case is weak for the private sector to deliver an affordable service without some form of subsidy. Danish Energy Management & Esbensen has the pleasure of being a part of the Global Compact International Yearbook 2017, showcasing best practice. Our contribution (p.94) highlights the way in which the Sustainable Development Goals (SDGs) can be aligned with company strategy, and used as a tool for business development. Taking point of departure in the SDGs that are most closely related to our market area, we have integrated sustainable development goals, targets, and SMART indicators across all of our projects. This allows us to demonstrate the impact that our projects create towards achieving the SDGs. 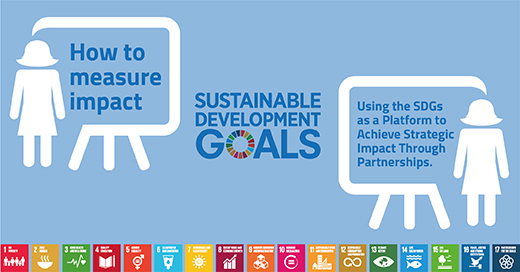 In addition, we track our impact in our newly developed online SDG system, which generates Impact Tracking Reports for internal and external distribution. DEM-ESB’s first annual Sustainability Report is hot off the presses! Danish Energy Management & Esbensen has just released its annual Sustainability Report! 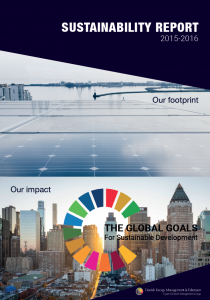 Readers of this year’s report get an insight not only into our internal company footprint, but can also take a look at how we are now measuring our impact in line with the UN Sustainable Development Goals. Highlights from Our Footprint include a focus on employee work life balance, a measurement of the company’s carbon footprint, and an inside look at our Business Integrity Management system (BIMS). Our Impact then reveals exactly how employees’ daily work contributes to meeting global sustainability goals. Key figures represented here illustrate SMART indicators which have been designed based on more than 20 years of company experience with monitoring and evaluation. The sister company of Danish Energy Management & Esbensen – “Danish Energy Efficiency Partners (DEEP)” completes retrofitting of its 3 out of planned 9 public buildings in the state of Melaka. The milestone was reached and celebrated by a launching event in Melaka on January 16, 2017 in a collaboration with Melaka, when the Chief Minister of Melaka YAB Datuk Seri Ir. Haji Idris bin Haji Haron, federal ministry officials, DEEP and the Embassy, celebrated the completed retrofitting of the first three state-owned buildings with more than 35% saving of energy consumption. The launching event also marked the launch of phase 2, which includes another six state buildings. Danish Climate Investment Fund (managed by IFU – the Danish Investment Fund for developing countries) and Danish International Energy Management A/S are the shareholders of DEEP. DEEP was established to take action – the concept is to provide complete solution for increased energy efficiency in the building sector. Promotion of the rights and status of women and girls and social equality is a core theme of Finnish development policies and a priority. To this end, MFA Finland is planning to carry out an impact evaluation on Finland’s support on these issues. For this upcoming impact evaluation, Danish Management has been commissioned to conduct an evaluability assessment. We will gather background information on gender issues and synthesize gender related results from different evaluations. The title of the assignment is “Impact Evaluability Assessment and Meta-Analysis on Finland’s Support to Rights and Status of Women and Girls and Gender Equality”. The Department of Energy (DOE) in South Africa has on the 23rd of December, 2016 published the first draft of the energy efficiency strategy that was prepared by our consultants. Titled the “Post-2015 National Energy Efficiency Strategy”, the document outlines a number of measures that can be introduced between 2015 – 2030 to overcome barriers and to achieve Energy Efficiency in key sectors within the economy. The strategy aims to contribute towards reducing the overall energy consumption by 29% by 2030 through the implementation of the suggest energy efficiency measure. Specific targets to be achieved by 2030 have also been suggested for each of the sectors – reduction of 15% in energy consumption within the industry and mining sector; 37% in the commercial and public sector; 33% in the residential sector; 39% in transport; 30% in agriculture; and for the economy as a whole a reduction of 29% by 2030 is envisaged. 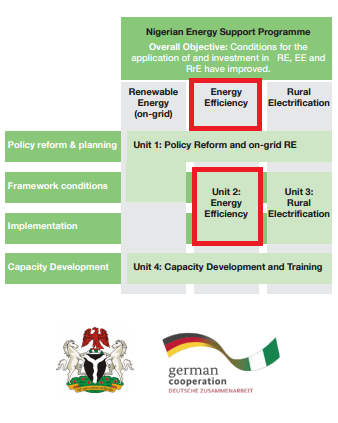 The strategy also recommends the introduction of various incentives and financing schemes that will encourage the uptake of Energy Efficiency by stakeholders within the key sectors, and the need for an enabling framework rooted in monitoring compliance, strong enforcement and periodic evaluation of progress. The prestigious Melaka Green Award 2016 was awarded by the Chief Minister of Melaka YAB Datuk Seri Ir. Hj. Idris Hj. Haron. It gives us immense pleasure to share that Danish Energy Efficiency Partners Sdn. Bhd. * has been awarded the Melaka Green Awards for 2016 under the International Collaboration Category in recognition of our energy efficiency retrofitting initiatives to promote green practices in the state of Melaka. The award was presented by the Chief Minister of Melaka, YAB Datuk Seri Ir. Haji Idris bin Haji Haron. 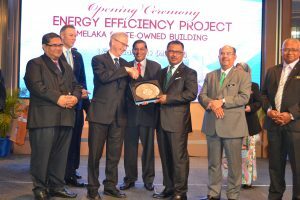 DEEP is highly committed to support the Malaysian State of Melaka in achieving energy cost savings in more than 80 state-owned buildings by installing and financing energy efficient technologies and services. In the process, we work very closely with our stakeholders in Melaka at every stage of design, procurement, installation and monitoring of the energy saving in the selected buildings. The programme initiated by DEEP will be a showcase for large scale adoption and implementation of energy efficiency in existing buildings by a City or a State. * “Danish Energy Efficiency Partners (DEEP) P/S”, established in 2015 by us along with the Climate Investment Fund (Danish State, Pension Denmark, PKA and others), has recently successfully completed the first phase of large-scale energy renovation projects in buildings in Melaka and will in the coming months implement the next phase comprising of six large buildings. 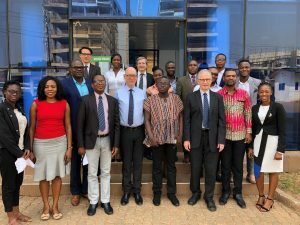 Danish Energy Management & Esbensen, as Consultants to Solid Green (South Africa), will assist the Nigerian Ministry of Power, Work and Housing and the FCT state development control with the development of a Building Energy Efficiency Code (BEEC). There are very good prospects for energy efficiency in buildings in Nigeria which currently has a housing deficit of 16 million units. While the Government has plans to build new housing blocks throughout the country to address this deficit, any progress made in this direction without due consideration of the energy consumption of these buildings may lead to energy insecurity that can threaten the economic growth of Nigeria. The BEEC will complement the existing Nigerian National Building Code. It will initially be implemented as a voluntary system, aiming at the transition towards a mandatory system in the future. As part of the project, DEM-ESB will provide assistance in defining minimum energy requirements, building energy labels, developing an outlook on BEEC future targets, recommending energy efficiency incentives, establishing procedures and system for control & enforcement, and recommending calculation tools and methods. Opening of a new office in NYC! 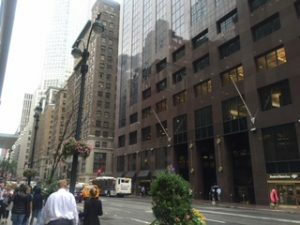 As a part of our market research regarding business opportunities in New York City, we are proud to announce the opening of a brand new office in Manhattan. Our current focus is on the extension of our services in the areas of energy efficiency, deep energy retrofit, energy management and sustainability management & measurement regarding UN’s SDGs (Sustainable Development Goals). Initially, the office will not be staffed as we will commute to NYC from Denmark. This solution is made possible by a flexible lease. During the week of Oct. 31st – Nov. 6th, Kirsten Mariager, Market Maker in Energy Management, will be available at the office. During week of Nov. 7th – Nov. 13th, Jørn Lykou, CEO, will be available at the office. Danish Management has recently been awarded a 3-year contract for the EU-funded project – EU-India Cooperation on ICT related standardization, policy and legislation. The EU and India share a number of interests across a range of policy areas, including ICT. The sheer size of its domestic market, with more than 1 billion mobile subscribers, and more than 300 million internet users make the ICT sector a very attractive market for both domestic and foreign investors. India so far has little experience in ICT standardisation, and can benefit from expert exchanges in this field. The overall objective of this project is to promote closer alignment between India and Europe with regard to the production and use of ICT standards and to standardising the exchange of statistical data, thereby facilitating trade, increasing interoperability and the ease of doing business for companies, and adding additional weight to European and Indian ICT standardisation efforts at the global level. The project will focus on intensifying cooperation in the pilot areas which include 5G (including connected objects), Intelligent Transport Systems, Network Functions Virtualisation/Software defined Networks (NFV/SDN) and Statistical Data and Metadata Exchange (SDMX). We embark on this project with strong partners from India, Ireland and Spain. IFC, the International Finance Corporation, has selected Danish Energy Management & Esbensen (DEM-ESB) to lead the final evaluation of the Philippines Sustainable Energy Finance Program (PHILS SEF II), which ran from 2009 to 2015. DEM-ESB brings extensive experience in energy efficiency and renewable energy project financing and implementation in Asia to this type of assignment. This is combined with our in-depth knowledge and experience in the monitoring and evaluation of energy projects internationally. The PHILS SEF was initiated to support the creation of a commercial financing market for sustainable energy projects in the Philippines. PHILS SEF II was targeted to directly support US$ 120 million in loans and US$ 200 million in total project investments, made possible by the partner banks. The overall goal of Phils SEF II is to increase access to local sources of financing for sustainable energy (SE) projects in order to stimulate private sector investments and reduce greenhouse gas emissions. The annual energy savings from the projects supported were expected to reach 77,000 MWh/yr and the annual electricity generated from renewable sources was expected to reach 350,000 MWh/yr, resulting in a greenhouse gas emissions reduction of 600,000 tons per year. This final evaluation will analyse the actual achievements which are reported to be much higher. DEM-ESB will provide a comprehensive and systematic assessment of the performance of PHILS SEF II to determine the extent of project accomplishment. We will also synthesize lessons that may help improve the selection, design, and implementation of future activities financed through the Global Environment Facility. The evaluation will start on 28th September and the final evaluation report will be submitted in early January 2017. 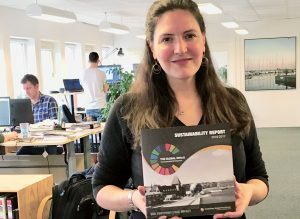 Danish Energy Management & Esbensen is very excited to be getting involved with the Global Compact, because we are now able to measure the impact of our daily work AND put it into perspective. This includes our domestic and international markets and all of our stakeholders globally. Our internal initiative towards sustainability measurement was spearheaded by our participation in the United Nations Sustainable Development Summit 2015, in New York. 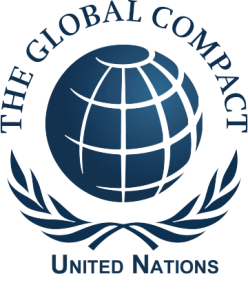 However, the principals of the Global Compact have a long tradition in the organization as a whole. In 2003 the Danish Management Group adopted a Code of Ethics and Business Integrity Management System, which was created following the ten (then nine) principals of the United Nations Global Compact, and the OECD’s Guidelines for Multinational Enterprises, using these as a standard for business practice. In this way, DEM-ESBs membership to the Global Compact builds upon more than a decade of work that has been done to systematically ensure that human rights are respected, labor standards are upheld, corruption is combated in all forms, and environmental impacts are minimized in all activities. See the statement from our CEO Jørn Lykou here. See our commitment on the website of the Global Compact here. 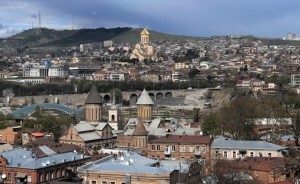 Danish Energy Management & Esbensen led consortium comprising of Econoler (Canada) and Energy Efficiency Center (Georgia) is among the 5 shortlisted Consultants for the Danida (Ministry of Foreign Affairs, Denmark) funded assignment – Consultancy on Energy Efficiency and Sustainable Energy in Georgia. The assignment has a budget of DKK 17.8 million and supports Georgia in promoting energy efficiency in the building sector and integration of renewable energy to the national power grid. The objectives of the consultancy assignment are: a) to provide project management and reporting support to the project steering committee (PSC) and implementing agencies to ensure efficient and effective achievement of the project goals and b) offer specialist technical expertise on demand to ensure that the implementing agencies can access the most appropriate knowledge and skills and benefit from the expertise and experience of Danish know-how. 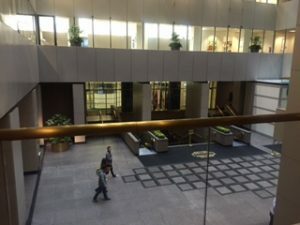 Public buildings in Georgia apply minimum energy efficient design standards. Energy Efficiency Labelling on products is enforced. Georgia’s monitoring and reporting on national energy consumption is aligned with European standards and legislation. 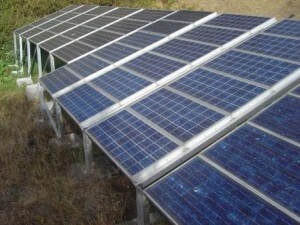 Renewable Energy is enabled to be integrated into the Georgian national power system. The Danish Energy Management & Esbensen (DEM-ESB) led consortium, comprising of partners Kommunalkredit Public Consulting GmbH (Austria) and Association “Energy Efficient Cities of Ukraine” (Ukraine), has been shortlisted and invited to tender for the Nordic Environment Finance Corporation (NEFCO) funded project Support to the Project Implementation Units (PIUs) at the city Councils of Chernivtsi and Ivano-Frankivsk. DEM-ESB is one among the 6 Consultants shortlisted based on the 11 Expression of Interests received by NEFCO in the end of February 2016. The project’s overall objective is to implement energy saving measures in municipal buildings in the two cities of Chernivtsi and Ivano-Frankivsk in Ukraine. The municipal building stock identified for implementation of energy saving measures will comprise of schools, hospitals, kindergartens and public swimming pools. It is expected that the project will cover, through two consecutive phases in it’s lifetime, a total of 84 buildings with a total renovated area of 300,000 m2. The budget for the technical assistancesought is 560,000 Euros. The project has a total investment cost that stands at 17 MEUR and will be financed partly by the City Councils, partly by loans from NEFCO to each city, and partly by grant contributions from Eastern Europe Energy Efficiency and Environment Partnership (E5P). The support rendered through the project will contribute directly to the reduction of GHG emissions, reductions of operation and maintenance (O&M) in the renovated public buildings, prolongation of building lifetime, improved comfort level, and increased local awareness and uptake of energy efficiency measures. 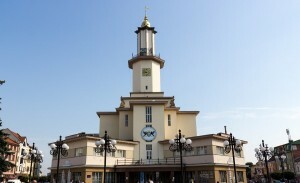 The project implementation foresees the appointed Consultant to provide assistance to the two City Councils of Ivano-Frankivk and Chernivitsi in all aspects of design review, procurement, contract administration, engineering supervision, disbursement, implementation, commissioning, test and acceptance, monitoring and capacity building. In addition, the Consultant will play a crucial role at an early stage in the development of operational procedures and systems for the PIUs, including a Project Procedures System, a Financial Management System and a Project Management System . 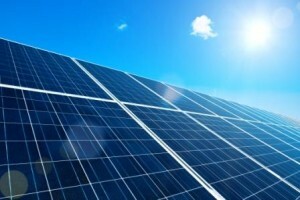 The Danish Energy Management and Esbensen (DEM-ESB) led consortium has been awarded the contract to perform a feasibility study and a preliminary engineering design for a Photovoltaic (PV) Power Plant that is capable of providing 24/7 operation of electricity to the three identified islands – Nyamuk, Parang and Genting in the Karimunjawa Archipelago in Central Java Province of Indonesia. 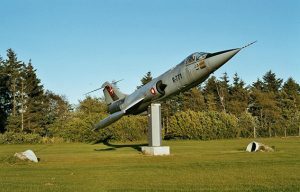 Danish Energy Management & Esbensen has been tasked to perform an energy analysis of one of the Royal Danish Air Force bases. This is in preparation for the implementation of a certified energy management system that is compliant with the related ISO 50001 standards. Read more about our agreement with the Danish Defence Command here. Official presentation of low carbon city gives new agreements towards a Danish entry in the Chinese five energy plan – The Danish Low Carbon Street in Haiyan is the second of three phases in a strong cooperative agreement between Haiyan County in China and Sønderborg Municipality. 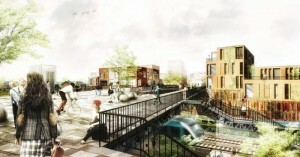 The Danish Low Carbon Street is developed as the first phase of making Haiyan sustainable. The project excited the Chinese delegation in such a way that new agreements were made on energy renovating the existing building stock in Haiyan. Read more about the project here. A sustainable low carbon city designed to be role model to Chinas five year energy plan – set to house more than 2000 residents the Haiyan Danish Low Carbon Street has strategies for energy, water, waste, environment, ecology and transport which is sustained through sustainability management, energy efficient behavior and user involvement. Read more about the project here. Danish Energy Management & Esbensen A / S has entered into a framework agreement with HOFOR A/S on client consultancy regarding procurement tenders for major solar panels for several water suppliers in Zealand. In the efforts to make Copenhagen CO2 neutral the water and waste water suppliers in the HOFOR group intend to have solar panels installed and put into service on location. The agreement runs from September 2015 – May 2016. Urban Innovation for Livable Cities: This conference in New York will next week provide a forum for the effective exchange of solutions and experiences, bringing together leaders from the public and private sectors in a hands-on discussion on urban innovation for livable cities. Accompanied by the Mayor of Aarhus who will open the conference, our delegation is in charge along with Aarhus Municipality for the specific workshop on EE with key opening speech by Technical Director Erik Jeppesen and we will be attending several meetings about energy management and client consultancy during the week, with a range of potential customers. Kirsten Mariager will e.g. at NY University introduce energy management as a systematic approach to secure and sustain energy savings in buildings illustrated by a case at Aarhus University, Denmark. Danish Energy Management & Esbensen has just been prequalified to enter the competition to provide lead consultancy services in the renovation of five PCB affected tower blocks in Brøndby Strand. For this project we teamed up with JJW Architects, Danakon, Torkil Laursen and the Danish Technological Institute. 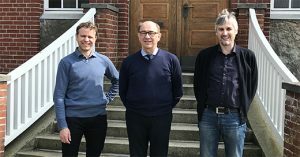 The assignment is jointly tendered by three housing associations: Brøndby Almennyttige Boligselskab (BAB), Postfunktionærernes Andels-Boligforening (PAB) and Tranemosegaard (TMG). The renovation incorporates the decontamination of primary, secondary and tertiary PCB sources, energy renovation of the building envelope and the complete refurbishment of the interior, including windows, balcony doors and all internal facades and fixtures. Furthermore, it covers the treatment of asbestos and lead in the paints used internally. Danish Energy Management & Esbensen has just been prequalified for a new school project at Hedensted School, which has been approved for a major renovation and reconstruction. For this assignment we teamed up with Mangor & Nagel Architects and LB Consult. The project includes the reconstruction of classrooms including science laboratories, workshops, the administration facilities, staff areas and a special needs learning center (7,900 m2), while the new building (850 m2) includes facilities for assemblies and music. 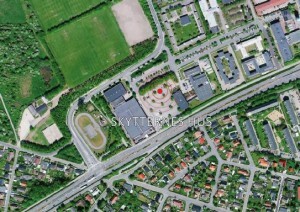 Prequalified for the Construction of a Gymnastics Center for Høje-Taastrup Municipality! Danish Energy Management & Esbensen have just been prequalified for the construction of a new building that will house a gymnastics center, which Høje-Taastrup Municipality wishes to construct in connection with the development of the new part of town called “NærHeden – Suburb of the Future” by Hedehusene – an urban development project we are also involved in. We have teamed up with Vestergaard Nielsen, Mangor & Nagel Architects and Klaus Nielsen Consulting Engineers. Besides the gymnastics center that will have trampolines and sinked in jumping pit, the center must contain rhythm halls, changing rooms and club rooms. The project includes building design, project engineering and the construction of new facilities for the new gymnastics center with covering an area of approx. 2,000 m2. The project is to be completed between March and August 2016. Read more about the “NærHeden – Suburb of the Future” here. On October 6th -8th, the conference “100% Climate Neutrality – Solutions for Crossing Borders” is held at the University of Southern Denmark, Alsion in Sønderborg. Danish Energy Management & Esbensen have been invited to speak at the conference on the topic: “New and Innovative Solar Energy Buildings in South Denmark.” The conference will show the possibilities for climate neutrality and with Project Zero in Sønderborg and Klimapakt Flensburg initiatives, the border region have already shown a strong commitment towards achieving climate neutrality. The conference will focus on the energy aspects and combine ideas from municipalities, the industry and the most recent research to give examples of how we secure and support the transition to climate neutrality. Danish Energy Management & Esbensen have recently been shortlisted for the EC tender “Clean Energy Cooperation with India (CECI). Our consortium partners are the Federation of Indian Chambers of Commerce and Industry (FICCI), and Development Environergy Services Limited (DESL). India is the world’s sixth largest energy consumer. India’s substantial and sustained economic growth is placing enormous demands on its energy resources. Increasing urbanization and the continuing rapid development of economic prosperity means that consumption of power per capita in India is increasing at a rate which greatly outstrips supply. The country will face potentially severe energy supply issues if the country is to continue in its growth as a developing world economy. With a budget of 1.5 Million Euros, this project aims at enhancing India’s capacity to deploy low carbon energy production and improve energy efficiency, thereby contributing to the mitigation of global climate change. Project activities will support India’s efforts to secure the supply of energy and thus contribute to global energy security, within a well-established framework for strategic energy cooperation between the EU and India. Tasks will include updating and applying Energy Efficiency legislation for the building sector in India, using the experience of EU regulation and standards in this area; undertake design studies to retrofit/construct at least eight existing/new buildings, according to very high energy efficiency requirements, capacity development, etc. Danish Energy Management & Esbensen have been shortlisted for the EC tender “Switch to Green Flagship Facility”. Our consortium partners are Switch to Green, ÅF-Mercados (Spain), ICCS-NTUA (Greece), and International Institute for Energy Conservation (IIEC) (Thailand). Given the scale of environmental challenges and their impact on and interaction with economic growth and social development, greening the economy is an urgent necessity and increasingly a political priority in many developing countries. With a budget of 1 Million Euros, this project aims to develop and foster effective dialogue and cooperation on transformation towards inclusive green economy between the EU and developing countries. The tasks include: improving identification and formulation of new actions contributing to the SWITCH TO GREEN flagship initiative; Enhance dialogue and exchange of experiences on supporting the transformation towards an inclusive green economy between the EU and partner countries; and create, share and communicate knowledge in an effective manner amongst the EU and developing countries. Danish Energy Management & Esbensen have been shortlisted for a World Bank tender regarding Energy Efficiency Strategy for Botswana. The objective is to recommend strategic actions which could be taken by the Government of Botswana to promote and sustain overall Energy Efficiency. This includes an assessment of the current Energy Efficiency scenario within the country and finally building the local capacity to strengthen the implementation and future growth in this direction. Pre-qualified for an International Project Competition in the Municipality of Viborg! Picture: Railway Bridge seen from the north – visualisation of the overall plan. Visualisation by The Drawing Office Vandkunsten. Danish Energy Management & Esbensen have just been pre-qualified for a major international project competition, which Viborg Municipality is organising in cooperation with Mercantec and Realdania. 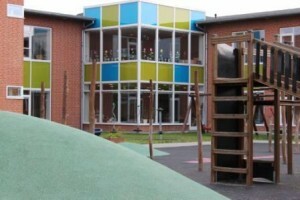 We have teamed up with Cubo Architects, ISC Consulting Engineers and Møller and Grønborg. The competition is ambitious and wide-ranging, and the five pre-qualified teams are to come up with a proposal for the design of a business college that must be a future-oriented study environment for business college educations for approx. 1,100 students and 100 employees; a new bridge across the railroad, which creates a vibrant urban space for both movement and stay as well as the front-space platform; and an overall development plan for the adjacent areas south of the railway. Submission of project proposals takes place in early November 2015 where 1-3 winners are selected and will be invited to participate in the competition’s second phase, which is expected to be completed in the spring of 2016. 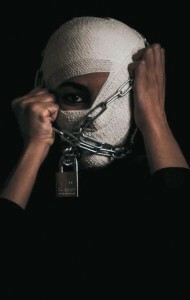 The photo is from the exhibition and taken by Maha Senan – a young Yemeni woman. Danish Management recently joined a team of experts whose main objective was to organise two events for the European Delegation to the Republic of Yemen to shed light on Women and Child Human Rights in the Republic of Yemen. The two events were held in Paris and Brussels during June 2015. Specifically, the project aims to foster direct involvement, critical thinking and active interest of the targeted public towards Women and Child Human Rights in the Republic of Yemen. The programme for each event consisted of a film projection and a photo exhibition. Before the film projection of “I am Nojoom, Age 10 and Divorced”, the Ambassador of the EU Delegation to the Republic of Yemen and the former Minister of Human Rights in Yemen took the stage to speak out about the current crisis in Yemen and Women and Child Human Rights in the country. After the film projection, people were invited to a photo exhibition where the photographs of several young Yemeni women were exposed, expressing the artistic skills of young women who speak out in silence. The project was a success and met its objective, and the events received much praise for their courage to take up these very sensitive issues. Around 1,000 people participated in the two events but with the broad media coverage directed at the project before, during and after the events, the project may well have reached around 50,000 people. Watch the trailer from the film here. Danish Energy Management & Esbensen have established cooperation with Danish Industry, to offer a unique Danish holistic energy model for the US market. 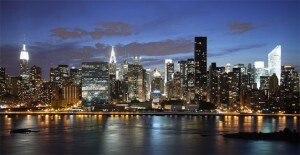 Since June 2014, we have, together with Danish Industry’s New York-based office worked on a feasibility study to create clarity of the opportunities for providing consulting services within the field of energy to New York’s city’s local government, other public clients and the private sector, through the establishment of an office in the city. New York’s mayor, has called for assistance from Danish companies to help the city to, in the future, withstand the aftermath of storms like Sandy. This also includes the energy sector, as the city is extremely vulnerable in terms of the supply area due to the loss of back-up power stations in low-lying areas, which is put into use because the energy consumption in the buildings is too high. The next step is for Danish Energy Management & Esbensen and Danish Industry to present the “Danish model”, for how energy efficiency and the use of renewable energy can be implemented in larger communities or a larger coherent building portfolio. The presentation will take place at a conference in New York during the fall of 2015, which is currently under preparation. Danish Management is the winner of an exciting M&E project for the Ministry for Foreign Affairs of Finland. In 2009, the Finnish Ministry for Foreign Affairs established “The Energy and Environment Partnership Programme in Southern and East Africa” (EEP Programme) to increase access to renewable energy and energy efficiency in countries such as South Africa, Tanzania, Kenya, among others. Phase I of the EEP programme is already accomplished and Phase II runs until 2017. We are to conduct a mid-term evaluation of the project’s Phase II and account for the implementation progress, make recommendations for the last half of the implementation phase, and conduct a detailed analysis of the projects efficiency and potential impact including a model of the organisational set-up for Phase III. We are excited to get started! Danish Management has recently won an interesting M&E project for Norad – Norwegian Agency for Development Cooperation. Norad wants to conduct a review of the evaluations systems used in development work. We are in charge of this review that will cover all parts of the evaluation value chain, including decision making regarding evaluation, quality assurance, implementation, their use and dissemination. 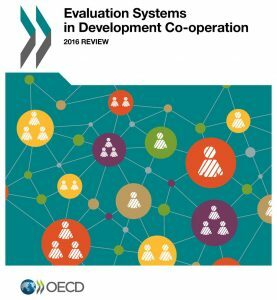 We are to collect, process and analyse information about evaluation systems among members and observers of the OECD Development Assistance (DAC) Evaluation Network (EvalNet) through strategic analysis, experience and data collection, interviews, communication, etc. Meet us at the “Professional Lighting Design Convention” in Rome – October 2015! From October 28 to 31st, the “Professional Lighting Design Convention” (PLDC) is held in Rome. PLDC is a convention created for the global lighting design market, and a meeting place for Lighting designers, architects, researchers, universities, industries and clients seeking knowledge about the latest trends, and the newest development within lighting design. At the three-day professional conference, approximately 70 presentations by high-profile speakers including keynote speakers are given. Danish Energy Management & Esbensen have been selected to speak at the convention together with Aarhus University. A 60 minute long presentation where experiences, results and pilot studies for research is laid out, in connection with the establishment of circadian light for treatment of manic patients in psychiatric healthcare environments, in order to reduce coercion in the psychiatry, at the psychiatric hospital in Risskov. The experiences gained from this project will also be implemented in the project engineering of the new psychiatric hospital in Skejby. Read about the convention here. Danish Energy Management & Esbensen have been prequalified for lead consultancy services in connection with the establishment of the Dementia- and Brain Center Aarhus, which is to be built in the Northern part of Aarhus. Aarhus Municipality wishes to create a collective Dementia- and Brain Center to ensure the best possible conditions for people with dementia and other neurological diseases. The first phase of the construction consist of 125 common dwellings (10,000 m2) with appurtenant common areas, of it, 75 special dwellings for people with severe dementia, and 50 dementia dwellings. The dwellings are constructed according to the standards of building class 2020 and are expected ready for use in early 2019. The second phase is a reconstruction of 2,650 m2, primarily dwellings suited for psychiatric citizens with difficult behavior and is expected ready for use in 2020. For this project, we have teamed up with Friis & Moltke, Hune & Elkjær, Orbicon, Preben Skaarup Landscape Architect and Special Consultant within dementia, Mette Juncher Søndergaard. The Chinese Prime Minister, Li Keqiang, is presenting his opening speech while the President of the EU Commission is listening. Last week, the EU-China conference on the Chinese urbanization in Brussels took place. The Chinese Prime Minister, Li Keqiang and the President for the European Commission, Jean-Claude Juncker both attended. Jean Claude Juncker emphasized Sønderborg and Haiyan as a good example of cooperation on sustainable development, something that all of China can learn from. “A small city in Denmark, Sønderborg, and Haiyan has developed a concept for Zero Carbon Buildings. These are now spreading across China. (…) We have listened to you. “– Stated the President for the EU Commission, Jean Claude Juncker. Sønderborg Municipality has a vision called ProjectZero that aims to make the Sønderborg area CO2-neutral by 2029. The recognition from the EU Commission’s President emphasizes the value of the well-composed concept that attracts attention around the world. 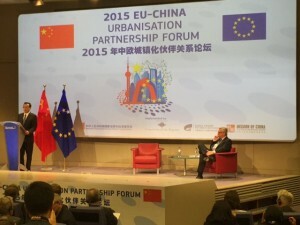 In 2013, EU and China entered into a Partnership Agreement on Sustainable Urban Development. In 2013, on November 21st at the Urbanization Conference in Beijing in China, the agreement resulted in 12 concrete collaborations between Chinese and European cities. One of these collaboration agreements is between Sønderborg Municipality and Haiyan County in China. Danish Energy Management & Esbensen cooperate with Sønderborg Municipality and has provided products and services in the first phase of the cooperation that includes a Zero Carbon Building, a new sustainable urban area and education. The first result of the cooperation with Haiyan was the design and construction of a Zero Carbon Building on 350 m2, in the center of Haiyan. Danish Energy Management & Esbensen, who have an office in Sønderborg, have prepared the building’s energy and sustainability design, in collaboration with Zhejing Urban & Rural Planning Design Institute. The building was completed in April 2015. As a result of the Zero Carbon Building in Haiyan, Haiyan Urban Construction Investment and Development Co. and Danish Energy Management & Esbensen signed a new contract at the beginning of January 2015. The purpose of the contract is to develop a conceptual plan for an urban area of 60,000 m2 in the centre of Haiyan, called “Danish Low Carbon Street”. The design must propose a sustainable urban plan, produced with a holistic mindset that takes existing buildings’ location, volume and height into account. The development in the area is carefully planned out, to ensure the optimum solar radiation on buildings as well as an optimal natural daylight in rooms, combined with a sustainable Scandinavian expression in the architecture. In addition, the plan analyses the most feasible energy supply for Danish Low Carbon Street. The plan ensures low carbon emissions for water supply, drainage system, waste treatment system, and local transportation within the area. Finally, an overall conceptual sustainable design guideline is prepared, for the new and old buildings in the area. “Sønderborg and Haiyan lead the way in China” – read the press release from Sønderborg Municipality here (in Danish). Read what Consulting Engineer Torben Esbensen says about the conceptual plan for the 60,000 m2 land area in Haiyan here (in Danish). Winner of a huge Energy Performance Contract in Malaysia! On Wednesday, Danish Energy Management & Esbensen have entered into our first Energy Performance Contract with the State Government of Malacca, in Malaysia. The Contract is for our newly established local company “Danish Energy Efficiency Partners Sdn. Bhd.”, which we own jointly with the Danish Climate Investment Fund, managed by IFU. The Danish Climate Investment Fund – a public and private initiative – is based on an agreement to invest DKK1.2bn in climate projects in developing countries, Last year, Danish Energy Management & Esbensen carried out energy audits in selected buildings in Malacca. Now we move on to the stage of implementing our recommendations for retrofitting the buildings, which include Putra Specialist Hospital, a state administration building, and Malacca Central Bus Terminal, covering a total floor area of 80,000 m2. The expected energy saving is around 4, 7 million KWh per year. Six additional buildings, covering a floor area of 100,000 m2, will be included at a later stage. The contract value will be paid by the State Government over the next ten years from the energy cost savings. As such, there is no net cost for the state or the building occupants – it is all paid by the savings. With this project, Danish Energy Management & Esbensen have launched our one-stop-shop concept in Malaysia. Moving forward, we are able to showcase our approach to Energy Efficiency in a large building portfolio, fitted to be replicated world-wide. We are excited to continue our work with the State Government in Malacca! Promoting Green Initiatives with IMT-GT! On Wednesday, we entered into an exciting agreement with the regional organization IMT-GT (Indonesia, Malaysia, and Thailand – Growth Triangle). The agreement is all about working together on promoting green initiatives in states and provinces in Indonesia, Malaysia and Thailand. The organisation has 43 member states / provinces in West Malaysia, Sumatra and Southern Thailand. 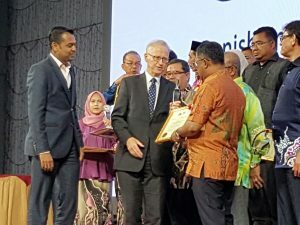 Some cities are already engaged in preparing Green City Action Plans, where the first one was in Malacca in Malaysia – sponsored by the Asian Development Bank. Danish Energy Management & Esbensen projections on Energy Efficiency in buildings are one of the key initiatives in the Green City Action Plan for Malacca, and moving forward we will be promoting our concept to other cities together with IMT-GT. The new company name is Danish Energy Management & Esbensen A/S. For many years, both companies have been well-established on the Danish and International energy and counselling scene – with more than 100 years of combined experience. Both Danish Energy Management and Esbensen is part of the concern Danish Management Group (DMG). Since 2012, when Esbensen became a part of the DMG family, the two companies have already had a close and successful cooperation between the energy specialists. Together, Danish Energy Management & Esbensen have performed consulting work in more than 100 countries. With offices in Denmark, Norway, England, Thailand, Malaysia, Bangladesh and South Africa, we can quickly be present in local areas where the demand is, and hereby, create the best conditions for sustainable development. In the Danish market, we offer the private and public sector client consulting services within integrated energy design and energy renovation of large buildings. Our core competencies cover: energy investments and profitability through the simulation of indoor climate, daylight, and natural ventilation. This is carried on into the concrete planning of the energy design, indoor climate, ventilation, cooling, plumbing, electricity and renewable energy by optimising the economy, environment and function. In the International market, we work in a number of countries, typical for international donors like the World Bank, EU, UN and regional development banks, to create the best framework conditions in developing countries for a sustainable development. We provide consultancy within energy policy, energy legislation, energy efficiency, renewable energy, organisational development, financing, and monitoring and evaluation. In connection with the merger, the management group is as follows – Jørn Lykou is appointed CEO, while Peter Juhl Thorseng and Morten Søndergaard will be the chief operating officers of respectively the Danish and the International market. The chairman of the board is Frantz Longhi, who is also the owner of Danish Management Group A/S. We have, together with GPP Architects and NS Consulting Engineers, won the lead consultancy services for the new Markmen’s House, to be built near Aarhus Skating Rink. The owner’s vision is to create a modern and functional construction that provides good and future-proof surroundings for the Danish shooting sport. The construction must be environmentally sustainable, focus on the overall economy, and holistic solutions where synergies created between aestheticism, technique and economy are placed in the high seat. The construction will be finished at the beginning of 2017. We are excited to get started! 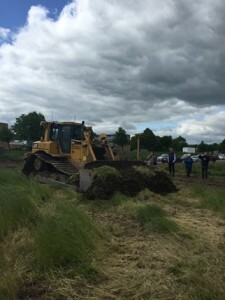 Yesterday the cut of the first sod was taken for Hadbjergparken on Elbæk Avenue in Hadsten. The 5,350 m2 large residential facilities for the mentally and physical challenged citizens will accommodate 33 public housing, six respite care housing, an activity center with a production kitchen and classrooms, as well as the STU-offer also get rooms in Hadbjergparken. The project is devised with Aarhus Architects, Landscape Laboratory Grün and Frandsen & Søndergaard Consulting Engineers. Danish Energy Management & Esbensen have been responsible for the development of the energy concept and indoor climate, as well as the project engineering of building installations. Illustration: UkrHydroEnergy (UHE), a state owned company of Ukraine that administers cascades of hydro power plants along Dnieper and Dniester rivers. In the Ukrainian “Energy Strategy through 2030” Kaniv Hydro Pumped Storage Plant is one of the three major PSP plants which play a significant role for lead shifting in order to provide sufficient electric energy during peak hours. 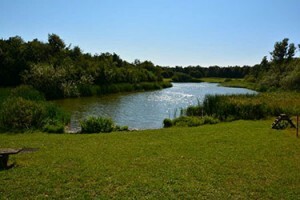 Concerns have been raised that the operation of the Kaniv PSP will have a negative impact on the hydrodynamic conditions in the reservoir, which may re-mobilise these sediments and could result in the downstream migration of radioactive and toxic materials, including also heavy metals and pesticides that may result in health hazards for the downstream population. The European Investment Bank (EIB) had hired Danish Energy Management & Esbensen in February 2015 to review the existing studies and to prepare a report into the risks associated with possible disturbance of radioactive and/or toxic sediments caused by the future operation of the Kaniv PSP in the Ukraine. b. reduce the uncertainties affiliated to the interpretation thereof. As Consortium Leader, Danish Management has won three new contracts with the European Commission within communication and energy. The contracts are won under the EU Framework Contracts, where Danish Management is delivering projects within energy, ICT and communication. The Policy Coherence for Development (PCD) Report is a biannual report, taking stock of the impact of EU’s external assistance and aims at minimising contradictions and building synergies between different EU policies to benefit developing countries and increase the effectiveness of development cooperation. Danish Management will develop and design the report as well as its subsequent launch and communication to a broader audience in 2015 and 2017. The project aims to contribute to the further energy reforms in Montenegro in order to comply with obligations from the energy acquis ensuring the continuity of assistance provided to the beneficiaries in the Sector and to avoid delays in implementation of already planned support. Specifically, Danish Energy Management & Esbensen will prepare the ToR for the IPA 2012 project – ‘Optimal use of energy and natural resources’. Danish Management will develop and design a brochure, informing attendees on Private Sector Development initiatives at the 3rd International Conference on Financing for Development (FfD) in Addis Ababa, Ethiopia, in July 2015.